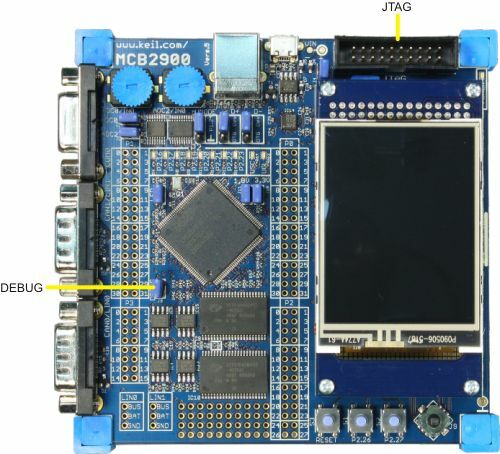 The JTAG Interface connector provides debugging and emulator support for the NXP LPC2929 device. The JTAG Interface allows application debugging and programming of on-chip and off-chip Flash devices. To use the JTAG interface, the DEBUG jumper must be installed.